You are currently browsing the Suburban Homesteading – Frugal Living blog archives for July, 2010. The garden is in full swing this time of year. Vegetables are picked daily and the vacancies are replanted for another round of late summer or fall crops. The kitchen is abuzz with cleaning and chopping and blending and boiling. This is the time that canning begins in earnest. Our cooler than normal temperatures this summer have been a God send for summer canning. What would normally be a hot, sticky task has, so far, been a great pleasure. We’ve already canned blueberry, apricot and mixed berry jam; peach chutney, spiced peaches, zucchini relish and festive mild salsa. In a month there will be tomatoes – paste, stewed and sauce for pastas and pizzas. I first learned to can with my mom. We had a neighbor on our street that made almost everything from scratch. From baking bread and making hamburger buns to canning jams, jellies, chutney’s and pie filling she made them all at home and in season. When our home garden overflowed we would take the extra produce to our neighbor and she would help us “put it up” for the winter. I loved the process of canning – getting produce ready for each recipe, stirring a bubbling pot over the stove, and then labeling colorful jars full of homegrown produce that would line our pantry shelves. Each bite throughout the winter would remind us of our summer garden and the days spent canning with friends. It was a country girls dream come true. First time canning can be a daunting undertaking. 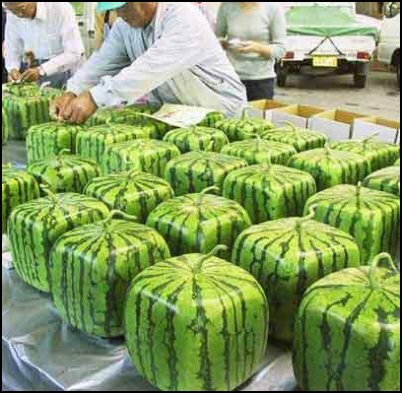 With the fear of spoilage and the potential for botulism it’s a normal reaction. But, with proper handling and adherence to processing guidelines, the chances of causing harm are minimized. But, rest easy. Today’s methods of preserving are much easier and much more foolproof thanks to the two-piece lid closures from jar manufactures. If you’ve decided that preserving food is on your homestead “TO-DO” list there are two important things you must do. The first is to destroy all micro-organisms such as bacteria, molds and yeasts that are naturally present in food to prevent them from spoiling the preserved food. The second important thing is to make sure your preserving containers are well sealed so that other organisms can’t enter, or they will also cause your carefully prepared food to spoil. For the first-time canners simple recipes like jams are quick and easy. Or, try small batch canning (recipes that produce 2 to 4 pints or half-pints) until you feel more comfortable with the process. Anyway you approach it canning will bring summer’s colorful bounty to your family’s table all winter long. 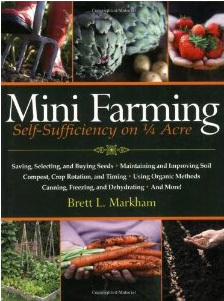 For canning books that would make great additions to your homestead library check these out. Sebastopol Geese – the geese that wear a wedding dress. I saw them at the state fair last week and immediately feel in love. They are medium sized white geese that are known for their long curling feathers. Even the feathers on their neck have a slight curve to them. They originated in Europe along the Danube River and around the Black Sea. They are beautiful. And, after a conversation this afternoon, with a breeder up north they will be a new addition to our homestead come spring. We’ve finally returned home from our hectic week at the state fair, so I thought I’d bring you all up to date on what’s been going on. 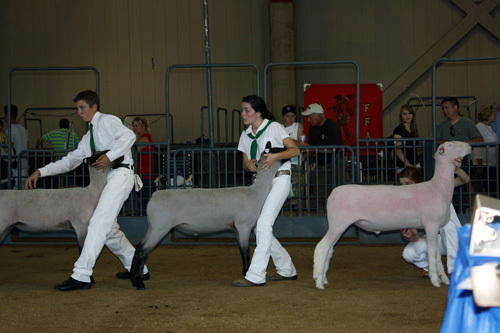 We arrived at the state fairgrounds about 7:30 last Tuesday morning, having left home at midnight. 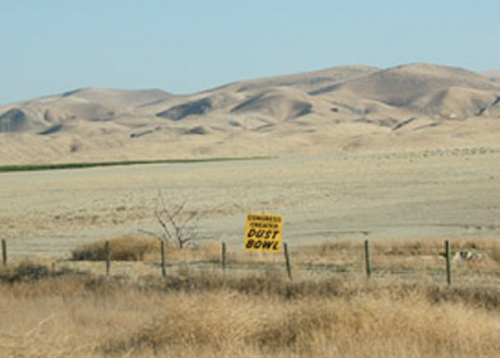 The drive up the I-5, through the center of California’s agricultural region, was easy and uneventful. It was oddly serene and calming being on the road in the middle of the night, just our truck and little trailer full of lambs sharing the open road with hundreds of semi trucks on their way to somewhere. We hit Sacramento and its tangle of freeways. This country girl hates big cities and big city traffic even more! The spider web of interchanges coupled with rush hour traffic resulted in a few missed exits. But, after a short tour of town we finally made our way to the back of the fairgrounds where the livestock entrance is located. Trailers had been arriving since daybreak, lining the small dirt road leading to the livestock barns. Areas were set up for each species so animals could be vet checked before entering the barn. It only took a few minutes before a group of vet students from a local university came to our trailer. Farmers Markets provide a valuable connection between the people who grow our food and those that consume it. They play an important role in keeping farms viable and farmers on their land, by providing venues to spotlight their sought after products. But, how do you know which markets are the best in your state? 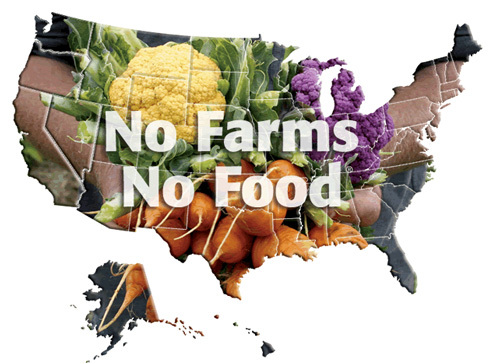 Click here to find out the five best Farmers Markets in your state. Check them out next time you’re in the area and spread the word! Getting the word out to other farmers market enthusiasts, local media, and city governments greatly impacts the viability of these markets and keeps farmers coming back. Backyard poultry keeping has surged in the past year or so. Many families are taking advantage of the easy keeping and productive nature of chickens. But when you find yourself with an adolescent rooster, just learning to crow, many of us ask how do we keep him quiet. Many cities around the country ban roosters to prevent nuisance complaints, even though there are several ways to keep roosters in populated areas quietly and responsibly. There are really only two reasons to have roosters in your backyard flock – to protect and to fertilize eggs. If your flock is well confined and safe from predators, whether they be furry or feathered, there’s really no need for a rooster’s protection. If you do not plan to breed your hens and hatch their eggs, or do not wish to have fertilized eggs, you also have no need for a rooster. If you keep a small backyard flock without a rooster, one hen will generally take the rooster’s role. She will keep an eye out for predators, alert the flock if danger is near, maintain the pecking order and, in rare cases, may even crow. But, if you see cute, fuzzy baby chicks in your future then you definitely need a rooster. So – how do you keep the father of your flock with out disturbing your neighbors? Most roosters begin to crow at daybreak. Even the slightest glimmer of light starts my guys off in a rousing cacophony. The trick is – well – to trick them. Trick them into thinking its still dark out. 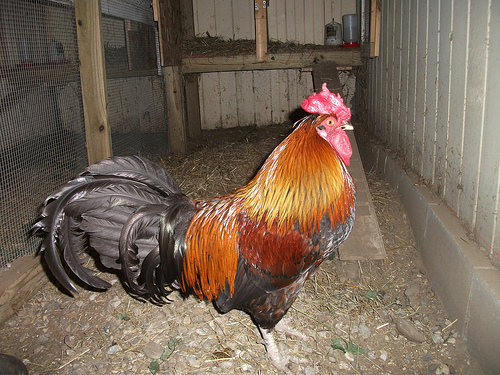 Roosters can be moved into the garage at night, into their own cage where they cannot tell when the sun comes up. They can also be placed in a cage inside the coop or a spare rabbit hutch or even a plastic dog crate and covered with a tarp or thick blanket. Again, so they can’t see when the sun comes up. If they do happen to crow, the noise is muffled enough that most people won’t be able to hear it. I like keeping roosters and think they’ve gotten a bad rap. I love the way they strut around the yard looking after their girls, their beautiful feathers spread out in a rainbow of colors. I love the way they perch themselves on top of fence posts or wheelbarrows, smug and indignant, showing everyone they’re the boss. And, most of all I love the chicks we raise to replenish our flock or give away to friends so they can know the joy of having their own backyard flock. I understand that roosters are not for everyone and I understand that most people did not bargain for neighbors that crow so early in the morning. Roosters are beautiful and they do serve a purpose. Not having them may be a necessary compromise suburban chicken keepers have to make in order to take one step closer to self-sufficiency. We spent our weekend under slightly stormy skies, unusual in Southern California this time of year, getting Brianne’s five show lambs ready for the State Fair. It always amazes me that after all these years and all the shows we’ve been to I can still spiral out of control with nerves and anxiety. The hardest part of the whole affair is just getting out the door so we can make the 9 hour drive with enough time to leisurely unload and set up. Once on the fairgrounds though all the tension seems to slip away and we fall into familiar routines. We all have our jobs and everyone gets to it with little or no nudging. 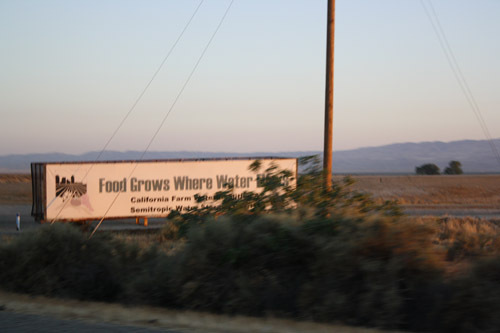 We have to be on the fairgrounds by 6PM Tuesday, but because the central valley of California can be so bloody hot (today’s temps hovered around 105) we leave Monday late night and drive straight through, hopefully arriving around 7 or 8AM, before the temperatures shoot back up to triple digits. Once we locate our pens on the barn chart we unload tack and feed and animals, arrange our grooming area and feed and water our road weary lambs. By mid-afternoon the barn will be abuzz with trucks and trailers of all shapes and sizes rolling in and off-loading tack and animals. It finally quiets down in the early evening as the arrival deadline nears. Wednesday morning we’ll weigh-in and all the animals will be broken up into classes by their weight. It’s always fun to stand in line chatting and catching up with people we haven’t seen since our last weekend show in late April. Because the weather is so hot many of the shows take place in the late afternoon and evening when breezes coming off the Delta cool the barn to a respectable temperature. Fall and winter vegetable gardening is an old practice, dating back to the beginning of our country. Pilgrims, settlers, and colonists all planted “cool weather crops” that could provide them with fresh produce all winter long. Today, many growing areas are well suited for 12-month gardening. Take the western part of the country along the Pacific coast. Their mild winter climate is ideal for growing a wide range of root and leaf crops almost year-round. 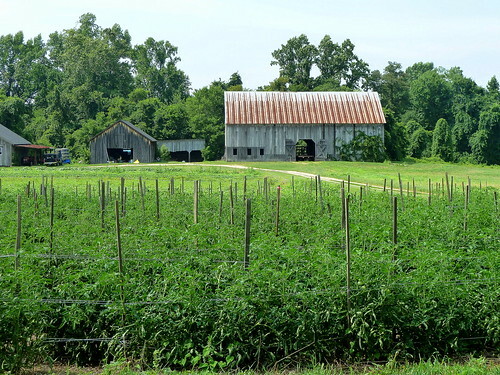 Southern states are equally able to grow a substantial number of vegetables to crown their winter tables. With a little protection and creative gardening methods, even northern state can adorn their table fresh vegetables throughout the winter. The key to a successful winter garden is knowing the average date of the first killing frost in your region (for example late October in the Pacific Northwest). You then plant your winter crops early enough to let them reach their full maturity before that killing frost. Local garden authorities can give you information about the timing of first frosts and the hardiness of various crops for your area. 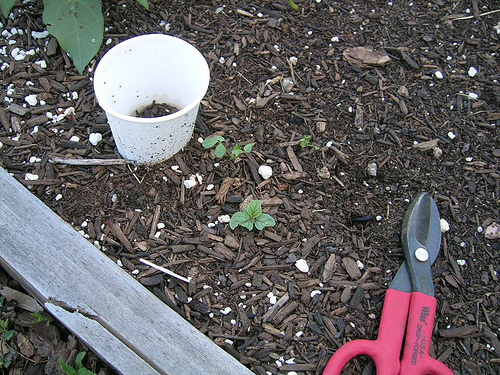 The planting suggestions in this booklet are based on a late October first freeze. If your killing frosts come earlier or later adjust your planting schedule accordingly. Are GMO’s the Frankenveggies of the Future? Learn how seed companies are clamoring for patents to seed varieties and strains, and in the process trying to control not only the way food is grown, but who can grow it as well.